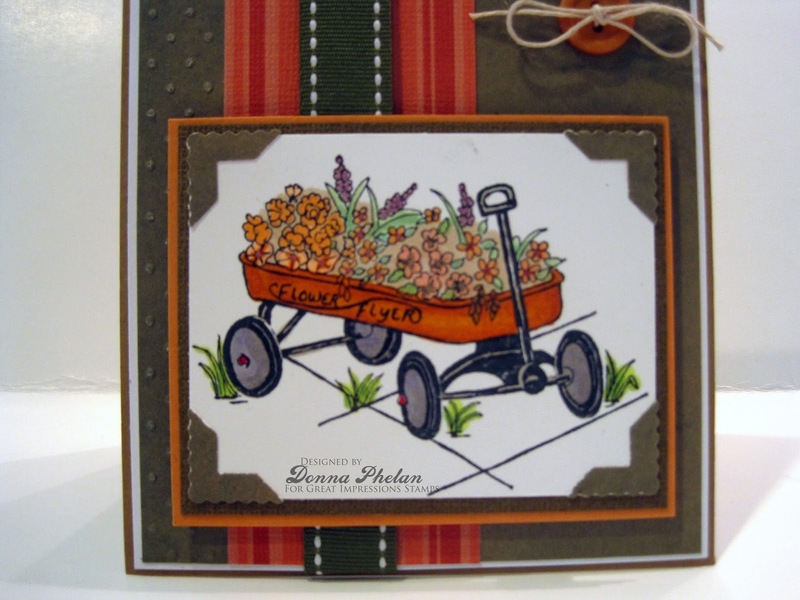 This Fall card has a sweet little wagon full of sweet little flowers. It was created using the Great Impressions stamp G327 Flower Flyer. 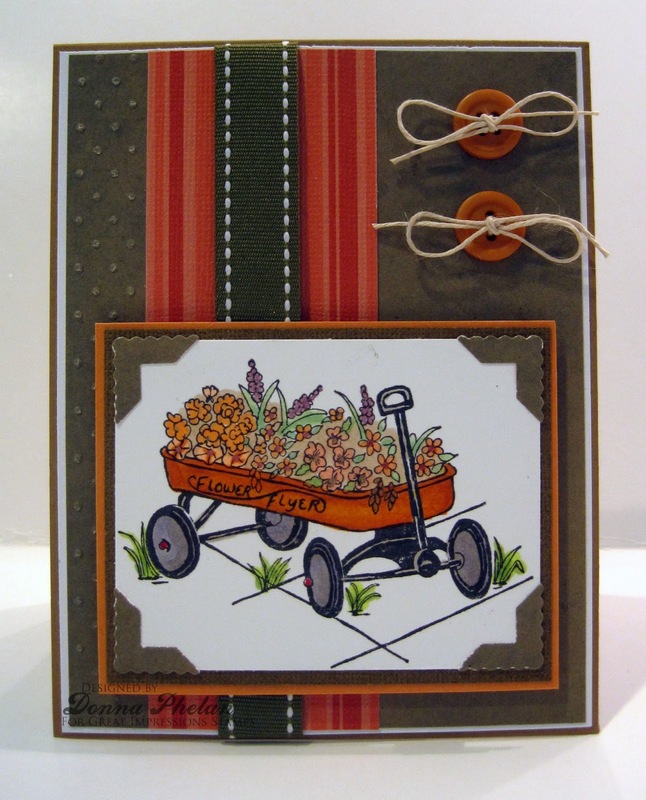 I am thinking I should get a wagon for Spring planting in my gardens, might save some wear and tear on my back....and wouldn't it be so cute pulling a little red wagon throughout my yard? YES!!! 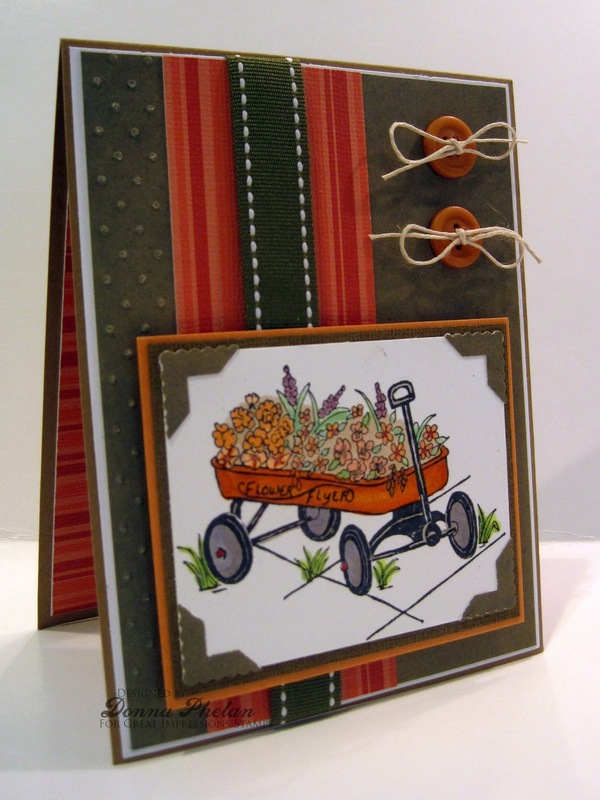 Swiss Dots Embossing Folder for texture, double stitched ribbon, button and twine bows for accents. I also framed my image, which was colored with Copic Markers, using a corner tab punch. Don't forget our new Monthly Challenge begins on Sunday, September 6th, pop on back and check it out. Thanks so much for rolling by! Be still my heart! This wagon is so stinking cute, and with all of the flowers and gorgeous fall colors too. Love your new watermark too. This is adorable, Donna. Lovely coloring of this sweet image.